I should mention that the recipe below is my own, based upon my personal preferences. 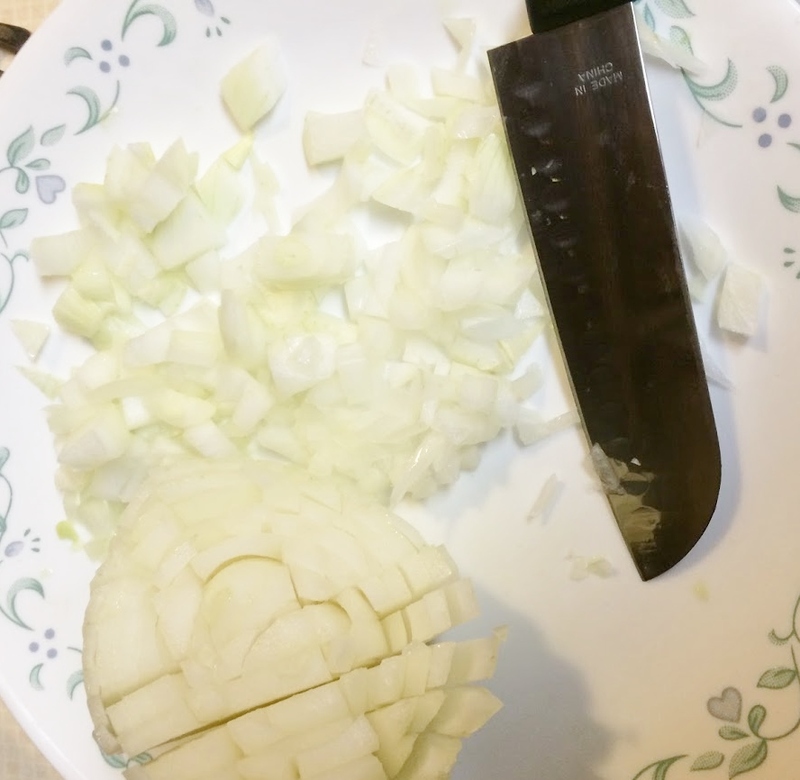 For example, I did not utilize a whole onion in this recipe, because I didn't want the onion flavor to overpower the taste of the recipe. You may elect to use a whole onion. It's up to you. Either way, I encourage you to alter the recipe to meet your own preferences. 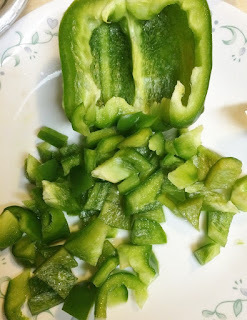 1) Chop bell pepper into small pieces. Put pieces into a large bowl. 2) Dice onion into small pieces. Add to large bowl. 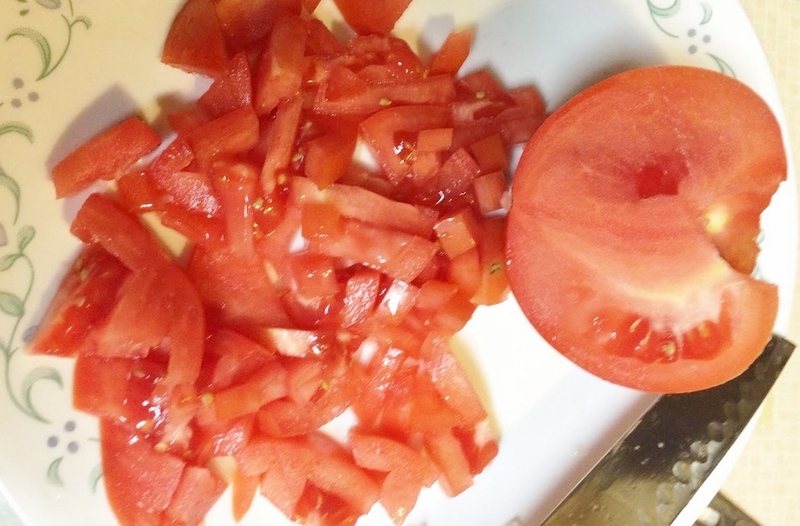 3) Chop tomatoes; add to bowl. 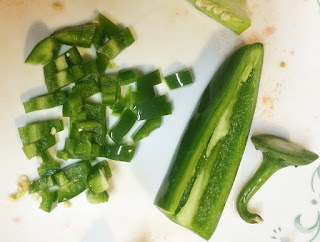 4) Dice jalapeno pepper into finely chopped pieces. 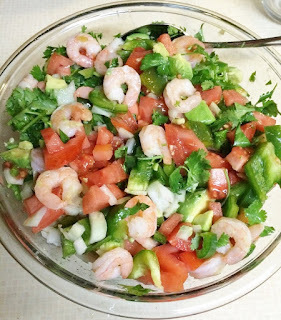 If you want your ceviche to have a spicier taste, leave in the seeds. If you desire a milder ceviche, discard the seeds. Add to bowl. 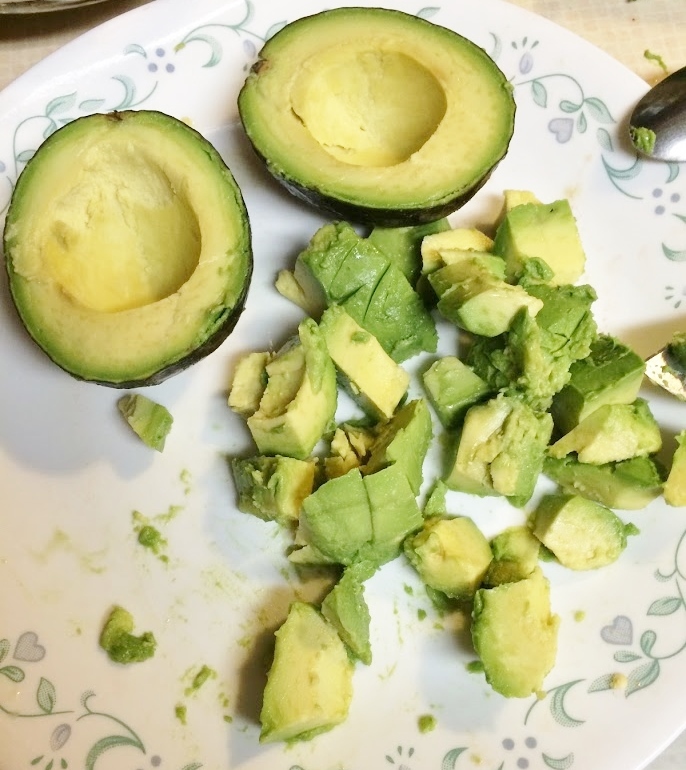 5) Cut the avocado into bite-sized pieces. 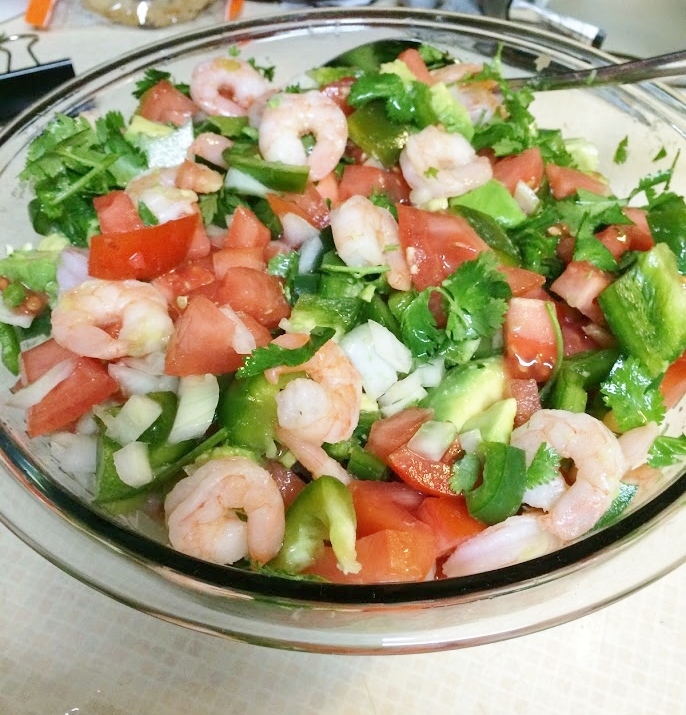 Keep in mind that these will break down somewhat when the ceviche is refrigerated. Add to bowl. 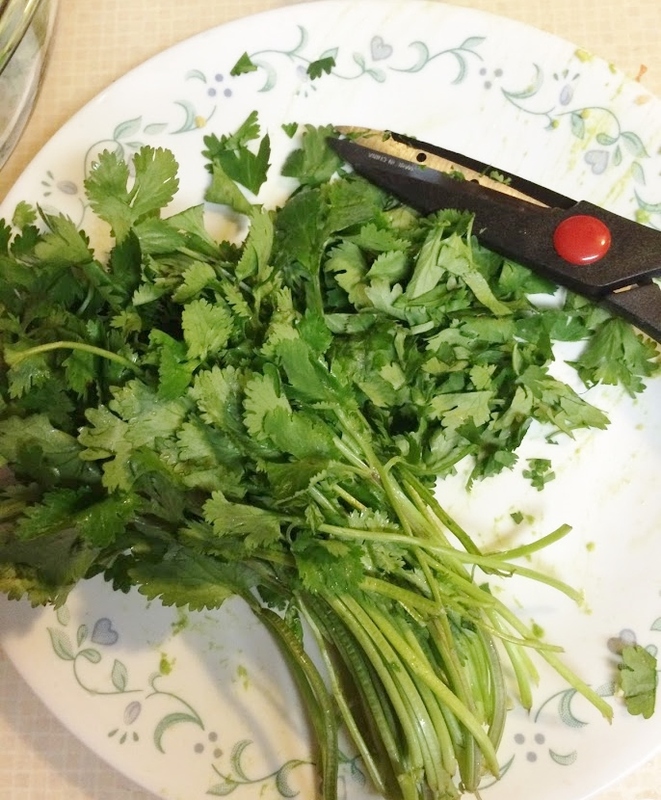 6) Chop cilantro into small pieces using a knife, or kitchen shears. Add to bowl. 7) Add defrosted shrimp to the bowl; mix all ingredients together. 8) Cut the lime in half. 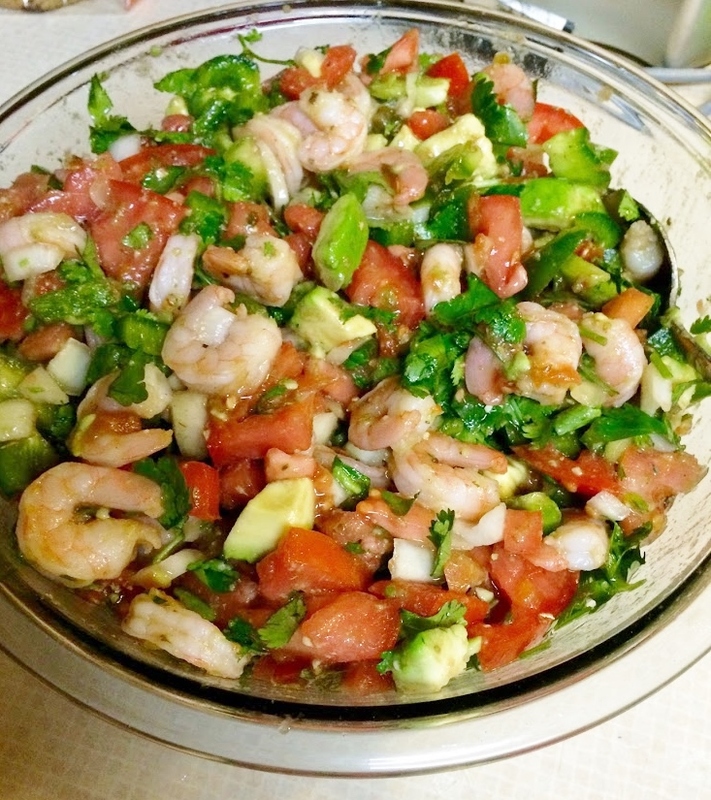 Squeeze the juice of both halves over the ceviche. 9) Mix the can of salsa into the ceviche. 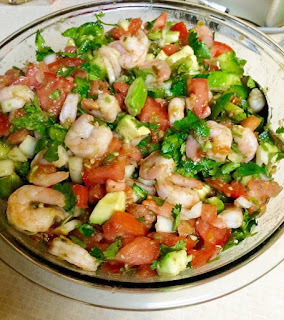 10) Season the ceviche with seasoned salt (to taste) and dried oregano. Mix well. 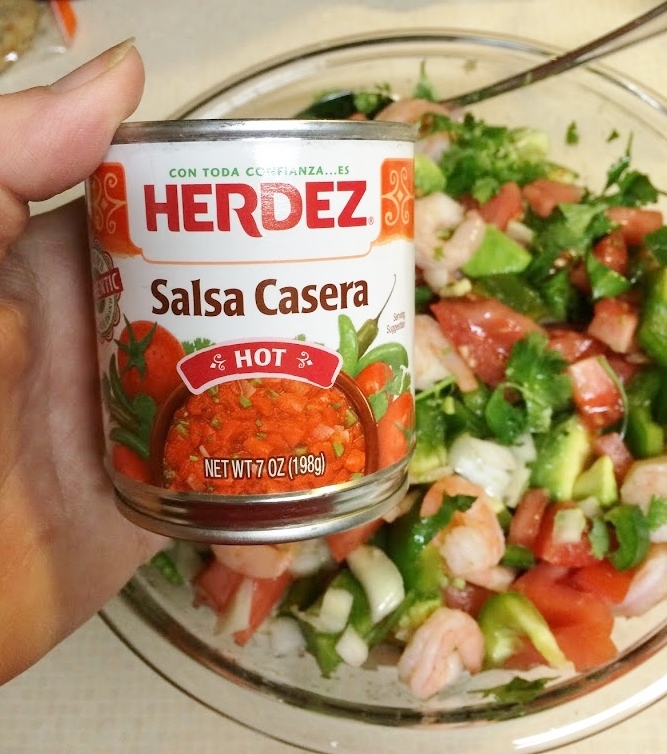 Cover bowl and place it into the refrigerator, allowing it to sit for a minimum of one hour in order for the flavors to meld together. 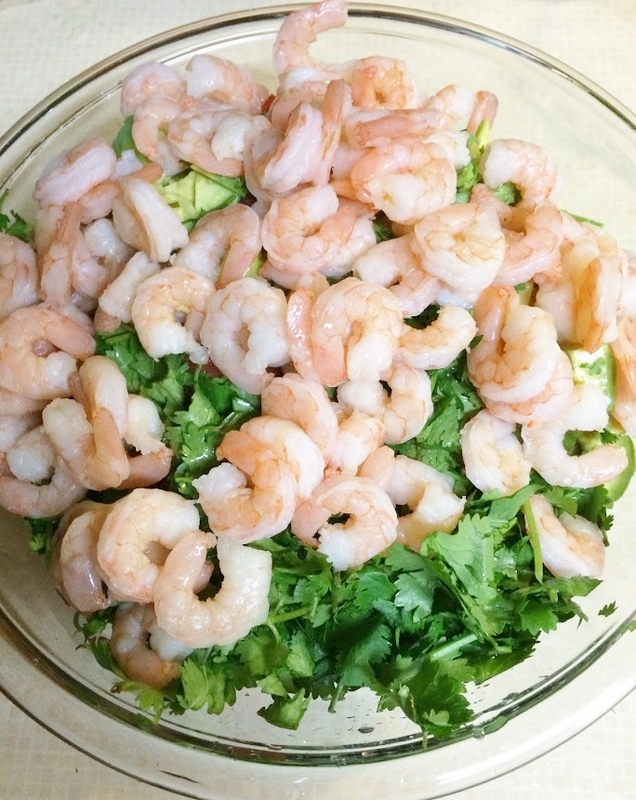 This is delicious served with saltine crackers. Enjoy!!! My daughter, Brianna, celebrated her 23rd birthday a couple of weeks ago. 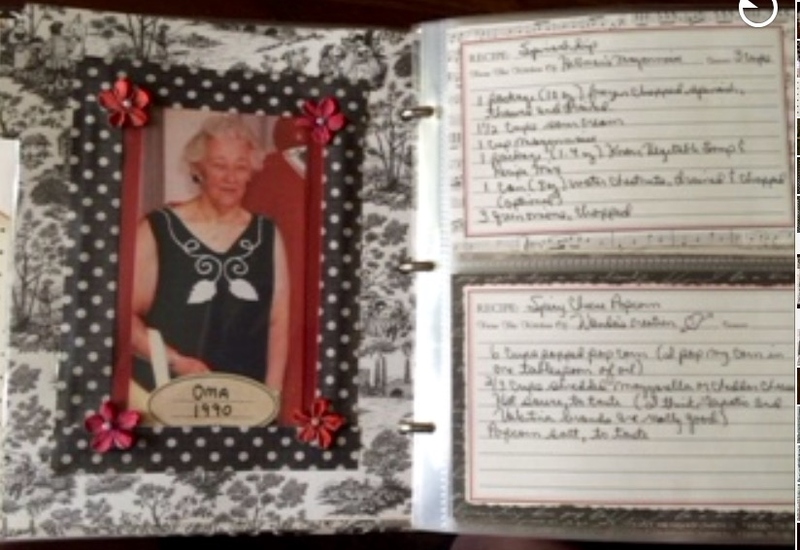 When asked what she wanted for her birthday, she replied, "I want a cookbook of all of your recipes." This was not an easy task to accomplish. 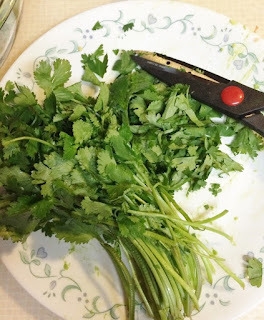 First - like many people out there - many of the recipes I make are in my head. I measure ingredients by sight and taste on many things. 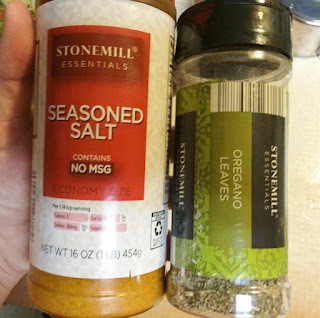 Oh, sure, I do have several recipes written down or bookmarked in favorite cookbooks, as well, but I often improvise on these, too, to make them my own. In addition, while I knew I would "someday" make recipe books for each of my kids, I knew it would be a large undertaking, as well as time consuming. I am currently a full-time college student, plus I work part-time for a non-profit agency and run my own little jewelry business. 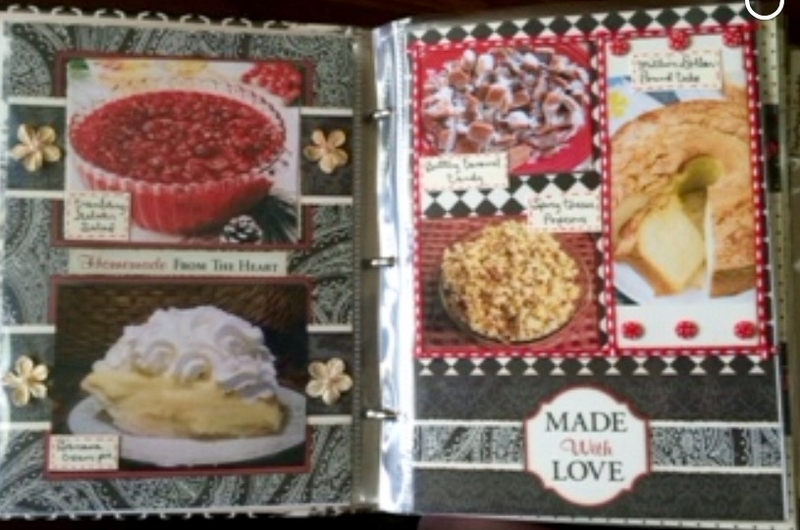 Where in the world would I find time to construct a family recipe book? 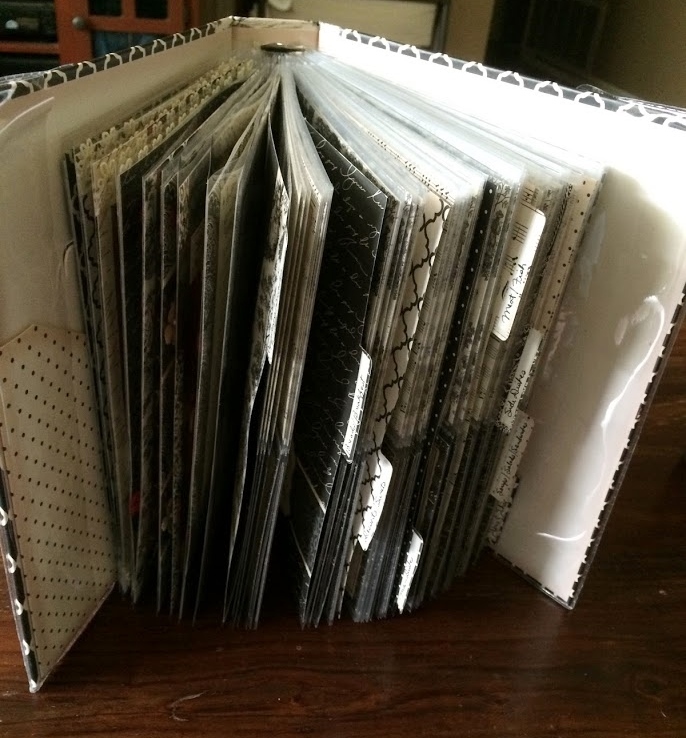 I ended up purchasing a pre-designed recipe/scrapbook from Hobby Lobby. 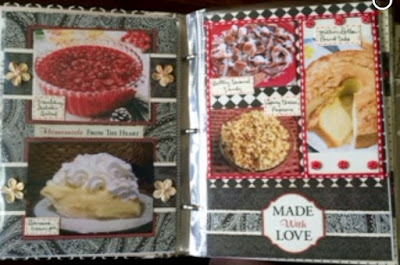 The book came with a set of designed tabbed dividers, several colorful scrapbook pages, page protectors and decorative recipe index cards. Of course, I had to purchase additional recipe cards and pages in order to ensure I could put everything I wanted to include in the book. 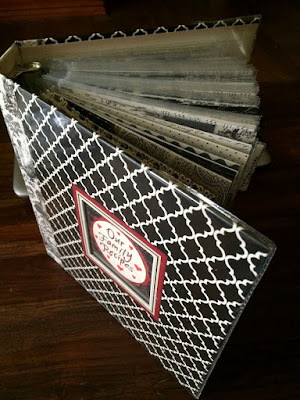 Using the book as my template, I purchased other items to decorate and design the book, such as scrapbook paper in coordinating colors, vintage-looking paper flowers, lace, ribbon, buttons and cooking-related stickers. All in all, I think the book turned out beautifully. 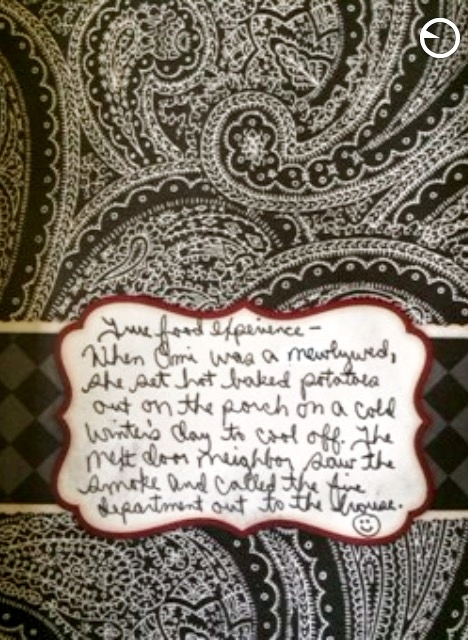 I began the book by writing a heartfelt letter to my daughter about my own cooking experiences and how I wanted her to make this book her own by adding her own recipes and memories to it. Immediately following the letter, I designed a page of the four generations of women in my family that are (and will be) the main contributors to the book - namely, my grandmother, my mother, me and my daughter. 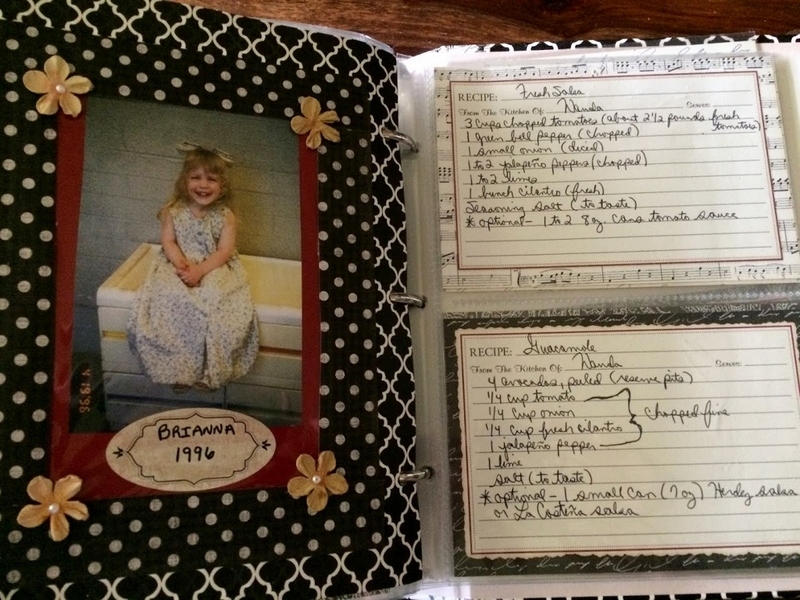 Generational family cookbook - four generations and counting. I included individual pages about each generational member (the cookbook "authors") of our family, such their photos, their names, where they were born, dates of death and birth date information. These pages were decorated with lace and flowers to give them an antique-heirloom feel. 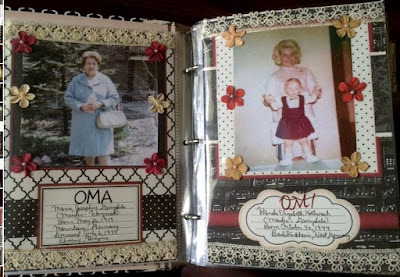 The pages about my grandmother and mother. The pages about me and my daughter. One the front of each tabbed divider page, I wrote humorous food-related experiences encountered by our family members. The back of each tabbed divider contains more photos of the women within our four generations. 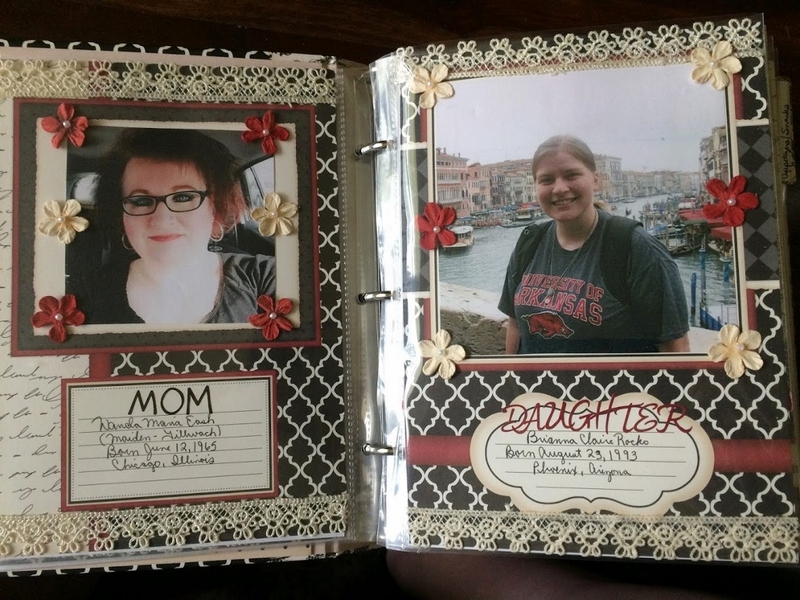 Decorated divider pages. This is of my grandmother. 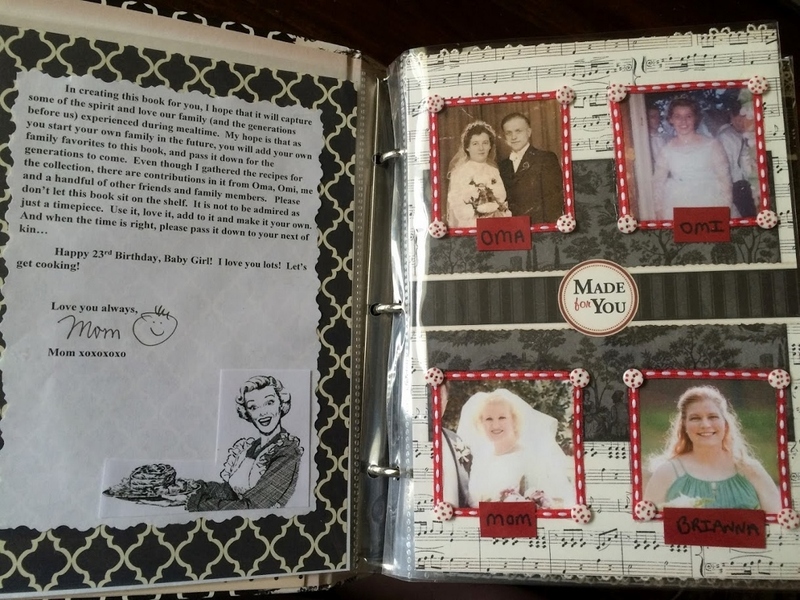 Decorated divider pages. This is of my daughter when she was little. 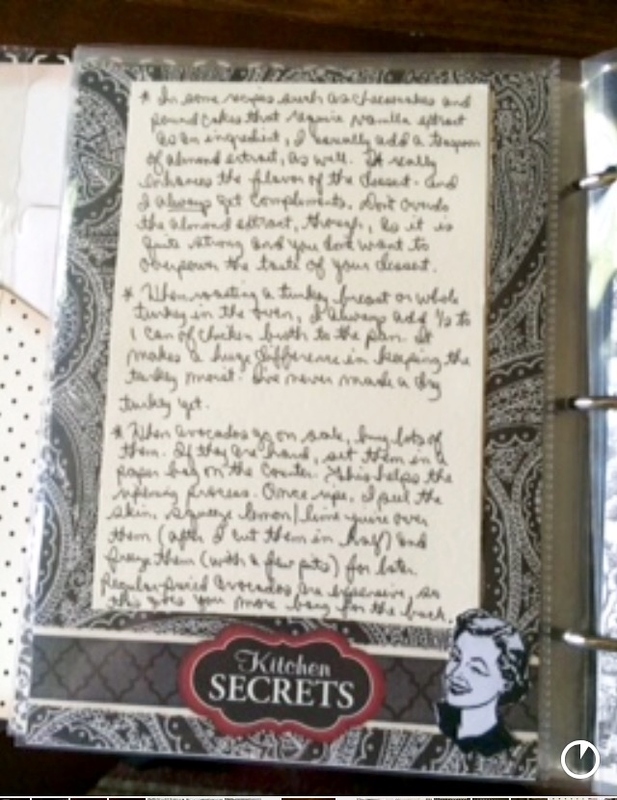 No recipe book is complete without a few kitchen secrets. These are a few of mine. When the book was completed, it was quite thick, but it still has room for additional recipes to be added in the future. My daughter loved her book. 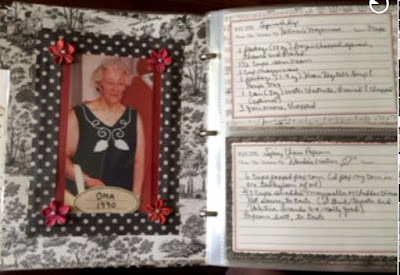 She is getting married next month, so it is ready just in time for her to begin adding her own recipes to the book; an heirloom in the making. 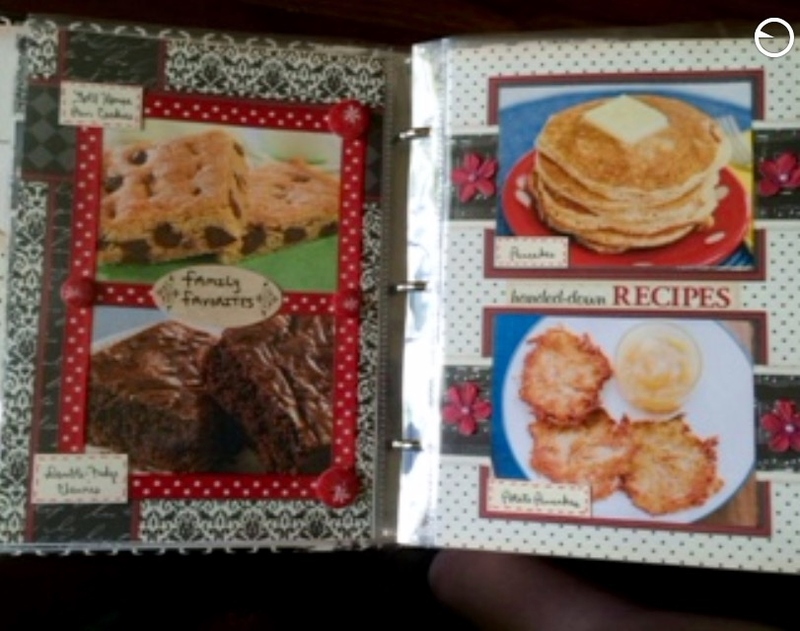 Brianna and her family cookbook. 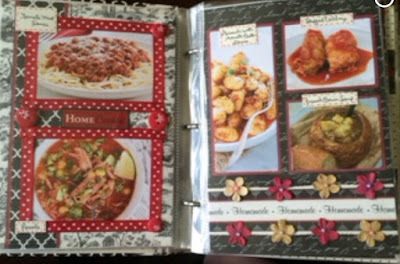 To anyone thinking about making a family cookbook - you don't have to be an avid scrap-booker in order to create something like this. Just be sure to allow sufficient time for it to be completed. It took me six weeks to complete this book, and I had to work on it every day during that time period. 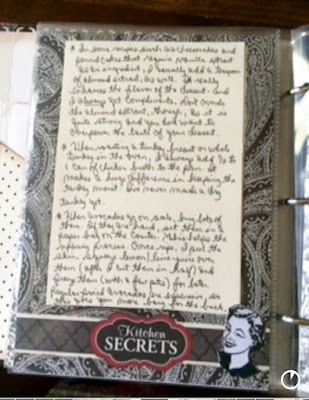 To make it really special, I'd also recommend handwriting the recipes and such in order to give the book some personal flair. 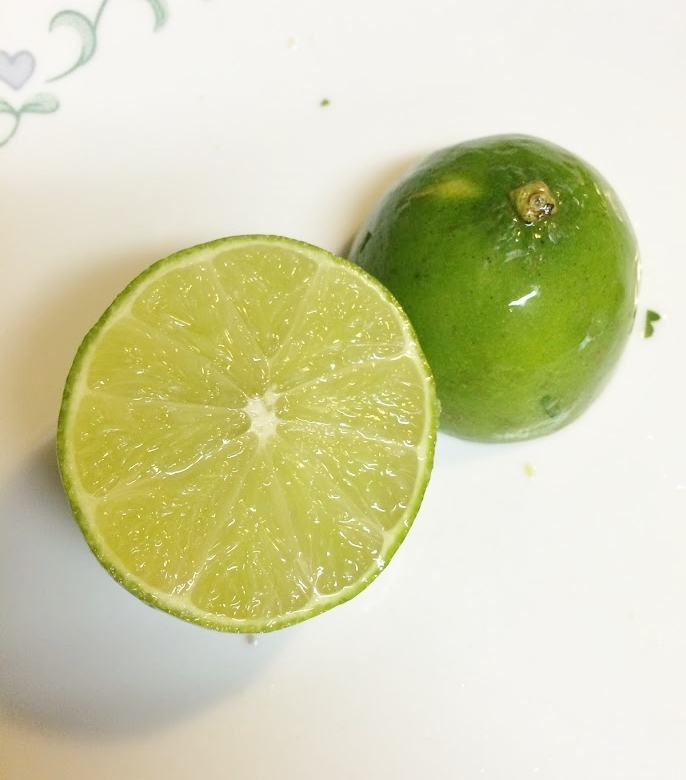 An another note - since I am sharing family information on this post, I want to announce that there is a new bud on my family tree. I became a grandmother in July- for the first time ever (courtesy of my son and daughter-in-law) to a beautiful blonde-haired, blue-eyed boy name Oliver (Ollie). He has absolutely stolen my heart. There is no doubt you will be seeing more of him and creations made for him on this blog in future posts. 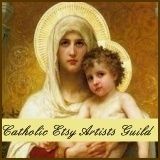 Please be sure to follow my blog here or through Facebook in order not to miss any future posts. As always - have a creative day!